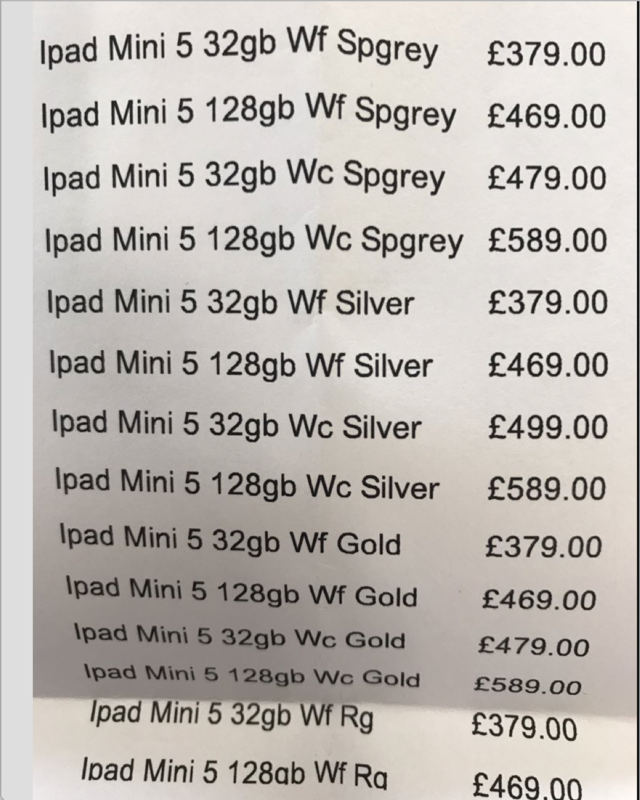 My friend works at a UK electronics store corporate office and said iPad mini 5 is appearing in their inventory as of this week He sent me the below. Also iPad 10.5-inch. Mini is priced £50 above iPad mini 4 and therefore maybe a pro model as rumoured. Shows all four colours, pricing, and 32GB an 128GB models for both Wifi and cellular. The 10.5-inch iPad Pro is also appearing and starts at £549.